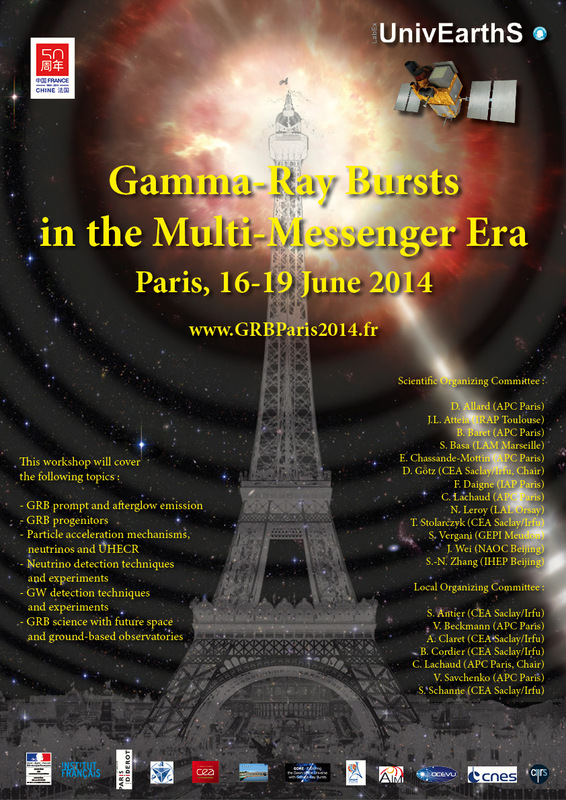 A workshop entitled « Gamma-Ray Bursts in the Multi-messenger Era » has bee organized in Paris from june 16th to 19th 2014 at IPGP. During the four days of the workshop, more than 100 scientists, including astrophysicists, particle physicists, and gravitational wave specialists, of different countries have met to discuss how to collaborate on the theoretical and experimental aspects of Gamma-Ray Bursts and how to coordinated their effort in order to better understand these objects. The workshop allowed for intense scientific exchange among the participants, providing the basis for future collaborations. The presentations can be found on the workshop web page at www.grbparis2014.fr.